The Red Streak Fantasy Short Sword makes an eye-catching addition to any collection with its unique shape and gothic styling. The fantasy sword features a dramatic half-moon cutout along the back of the blade near the grip. A smaller cutout appears on the opposite side of the blade. 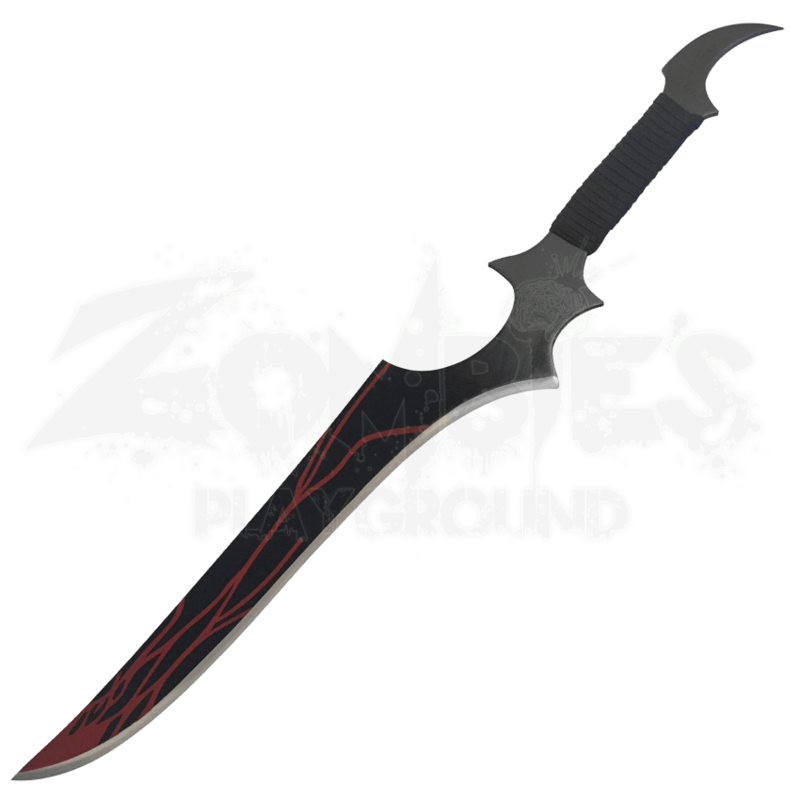 Made from stainless steel, this decorative sword shows off a black finish streaked with red for a bloody look. Black cord wraps the handle, which ends in another curved point. 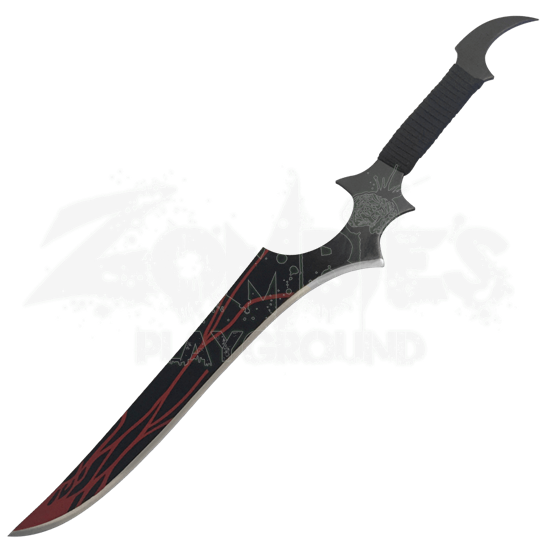 This collectible sword makes a great vampire hunter blade with its striking look. The ornamental short sword comes with a black nylon sheath for easy carrying and storage.